The Julian Station buildings and adjacent farms have a long history of selling fresh, Julian grown Lilacs. Beginning with Manzanita Ranch (the property's original name) in the early 1940's and continuing today, our dry-farmed, unsprayed lilac groves continue to provide exquisite lilac flowers each year beginning sometime between late March and mid-late April. Please send us an email to be included on our "Lilac Alert" email list (only 4 emails per year). Visit us in Julian for some fresh cut lilacs and become part of a 70+ year old tradition! OK, see you there soon. Are the lilacs in bloom yet? When? how long does the lilac season last? Please add me to lilac alert list. Thanks! 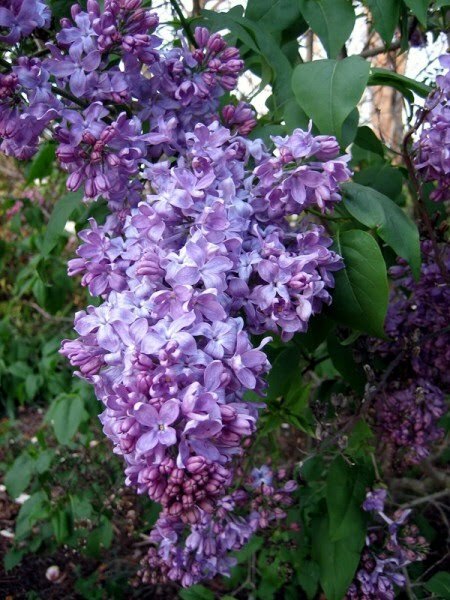 I grew up in the northeast in a house that was surrounded by lilacs and miss them very much. PLEASE let me know ASAP when the buds are on the branches. I'm in my 70's, this may be my last year to see and smell them again. Thank you very sincerely. I look forward to meeting you. Hi Albert, please put me on the Lilac Alert List . Thank you ! Please put me in the lilac alert list!! Please put me on lilac alert! are there any lilacs in bloom now? Lilac season is coming up. Can you alert me? a good engine for my new blog. Please add us to Lilac Alert list. Thanks!